We are SDE Weddings®, Toronto’s premier wedding videography, cinematography and photo-booth group. Throughout the year, our videographers and cinematographers have produced plenty of Same Day Edits for our clients; indeed, making “SDE” our namesake. 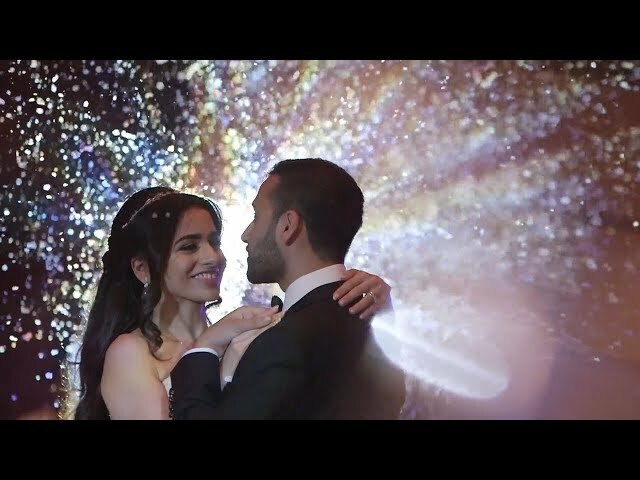 With our videographers and cinematographers’ experience, we decided to share with you and your future spouse some key points and knowledge so that you can know all there is to know about Same Day Edits. On this post, we are also sharing with you some of the best Same Day Edits that our videographers/cinematographers have made in the past. Whether you’ve hitched your wedding wagons with your bride or groom to be, but are on the fence on hiring a wedding videographer, or you’re shopping around for vendors and need a bit of wedding-day-planning encouragement and assurance, we here at SDE Weddings have a few important points to share. Five pertinent points for all aspiring happily-ever-after’s to be that are considering hiring a wedding videographer for the most special and magical day of their lives. 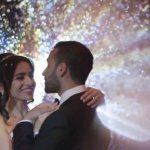 Having interviewed a plethora of pleased couples from diverse backgrounds through our work in the wedding industry, and having gone through numerous wedding reviews to find their motivations for hiring a wedding videographer, we’ve compiled the following list of five of the most common reasons why aspiring newlyweds should hire a videographer to capture and document your big day. Familiarity is a funny thing. Having a discriminating taste is paramount when involving yourself in a field such as as weddings and wedding videography. No surprise then that through our many years working with vendors and venues here at SDE Weddings, Toronto’s premier wedding videography and cinematography company, we’ve come to familiarize ourselves with a cavalcade of Toronto’s best when it comes to delivering the finest wedding experiences to couples. Many factors come into play when judging a venue’s worth; from the amorous ambiance, aesthetics and atmosphere, to the cunning cutlery of the cuisinieres, all those behind the scenes working their hardest to make your dream day the best it can be, and everything in between. Choosing the perfect venue for your wedding day, then, can be made a bit less laborious a task with the following list we’ve compiled of the best of the best venues that we’ve worked with here in Toronto and all across the GTA. Each venue listed here has their own unique qualities and individual charms, such that picking the perfect one is made much simpler for you. Is planning the details of your wedding day travel ‘driving’ you up the road? Can’t choose between a carpool to your ceremony or hitchin’ a cab to go get hitched? Why not look into renting out a limousine or two for your wedding day? We here at SDE Weddings, Toronto’s premier wedding videography, cinematography and photobooth group, have been part of countless wedding days and have narrowed it down through travel experience that not only are wedding day limousines a nice stylish point to add to your wedding, but are also surprisingly quite cost-efficient for large-wedding groups; which sure as hell beats pumping up the gas bill for carpools. Never has riding in style been so convenient, and with a bit of advice from our videographers and cinematographers, we can help find the limousine service that’s just perfect for you. After filming several Korean weddings this year in Toronto, we began to understand the symbolic meaning behind all the Korean wedding customs. The paebaek (폐백) is an ancient Korean wedding tradition intended for the bride to pay her respects to the groom’s family. In this process, she is officially accepted into the groom’s family. The bowing in the ceremony process represents her responsibility and devotion to her new family. The bride and groom will bow together to the groom’s parents and relatives. They will take turns sitting in front of a table to receive the bows from the couple. The groom’s parents will receive two full bows (or more) and a half bow. Relatives will receive one full bow and a half bow. After each bowing, the couple serves tea to their elders. The bride holds the tea cup with her hands under the long apron as the groom pours the tea. A relative or a close friend will assist with the serving of the tea to the elders. The elders will sip the tea and offer the couple words of wisdom and blessings. The bride and groom will extend the long apron and the elders receiving the bows will toss dates and chestnuts to the couple. The couple will try to catch them. This ritual is meant for the couple to have many healthy children. After all the elders have been bowed to, siblings of a similar age or younger will bow together with the bride and groom. The ceremony concludes with the groom giving his bride and a piggyback ride around the table, a gesture of his everlasting devotion and love for her throughout their life. The groom may also give his mother and mother-in-law piggyback rides.